Puzzle News as of Sept 6. 2010 - Limited Release of two old time classics . This time we are pleased to bring you two old time classics that were discovered in a warehouse. Old Classic, Limited Quantity Available. Another great Limited Edition puzzle designed by Tony Fisher. 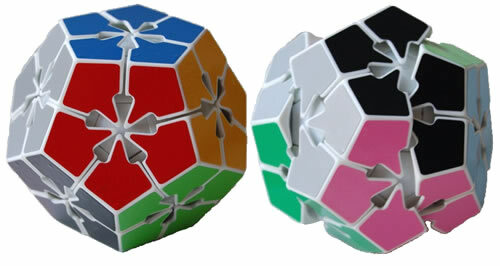 Featuring a unique hollow core, as the puzzle is twisted there is a camera like shutter action that opens and closes the center. Don't miss out on these great puzzles in black and white body, save two $ by purchasing the twins. Free Air-shipping to anywhere in the world where there is a Post Office will continue. that your order is being processed and will be shipped promptly, you should receive it usually within two to three weeks. We only send out Tracking numbers if requested, as their main function is to prevent your local Post Man or others from stealing your puzzle. This mainly applies to Italy where local theft of parcels has been quite common in the last two years. The Hong Kong Post Office only Guarantees delivery to your country but takes no responsibility for the safety of your local Postal delivery. be clearly shown, if your parcel is returned to us due to incomplete / incorrect address we will charge you the second postage fee which in some case can be more than what you paid for your whole puzzle order. Our Shopping cart is heavily subsidized and designed not to make a profit but hopefully just break even, so any waste like double shipping is not fair to the other puzzlers that are more careful, we hope that you understand. For any previous Newsletters, please click on the NEWS icon on our Home Page. Should you wish to be removed from this mailing list; just click "reply" and type "remove" in the subject line. Please make sure that you show clearly the email address you wish to have removed so that we can honor your request. Or click on the following link: http://www.mefferts.com/newsletter/page.php?lang=en&theme=mailing to remove yourself by entering your email address and clicking enter, you may have to copy and paste this complete link into your browser if the hyperlink does not work. Puzzle News as of July 29. 2010 - Limited Edition & Holey-Skewb Reservation. A limited quantity in white body and 12 colour high quality German matt stickers where found in our warehouse and are available at the old price whilst stocks last. Cleaning out our warehouse we also found several boxes of Jing's Pyraminx, As one of the JadeClub privileges we offered these very limited edition Puzzles first to Jade Club members one day before the Meffert's Newsletter was released today. The Jing's Pyraminx is a must puzzle for every Puzzle enthusiast and these special colour configuration will make these a valuable part of any puzzle collection all with the "Original German Fluorescent Labels used by Meffert's since the 1980's". These puzzles will not be reproduced once sold out. Featuring a unique hollow core, as the puzzle is twisted there is a camera like shutter action that opens and closes the center. Don't miss out on this great puzzle and get your reservation in early. Jade Club Member have already reserved theirs. Puzzle News as of July 14. 2010 - The Acu-ring is now available again. We are pleased to bring back the popular Acu-Ring and at the old price of €9/US$9. The Acu-Ring is not jewelry. 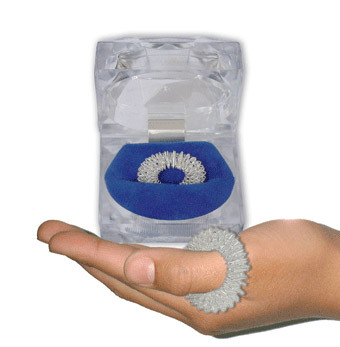 It is a functional self acupuncture device that will keep your fingers limber and dexterous. It’s a thoughtful gift for friends or loved ones—or for yourself. What’s more, medical specialists say This could be the Home Wellness devise breakthrough everyone has been waiting for as it is so easy and convenient to use and the benefits are remarkable and almost immediate. Energy deficits and blockages are removed and harmony within the net of the upper meridians takes place. This net we also call the “body`s software”. It contains especially the regulative and autonomous systems. Our hands put us in touch with the world around us. They’re constantly active: dialing a phone, doing housework, typing, gardening, using tools, playing the piano or violin — a thousand different activities that make life enjoyable. The Acu-Ring helps strengthen the fingers and keep them supple by massaging acupuncture points and blood vessels. It also can relieve finger pain, numbness or fatigue caused by repetitive motion. While massaging the fingers the Acu-Ring also stimulates circulation and brain activity thereby increasing mental focus and exercising the memory. Using your Acu-Ring while watching TV, riding to work or at spare moments during the day, together with good nutrition, simple physical and mental exercise, will help prevent illness. A quality product. The Acu-Ring is made of selected high-quality stainless steel with silver plating. This is twisted by a specially programmed spring-making machine to transform the wires into many different dimensional triangles in order to get to acupuncture points more effectively. How to use your Acu-Ring: Place the Acu-Ring on a finger and roll it up and down around 20 times. Repeat on each finger. It can also be used on the toes. On long plane flights this can help prevent “deep vein thrombosis” (DVT). You may use more than one Acu-Ring at the same time to increase its effectiveness. Cleaning: Just dip the ring in a mild detergent solution and rub lightly. Warning: Stop using whenever you feel uncomfortable. Do not use on injured fingers or toes. Not for children under 8 years of age. 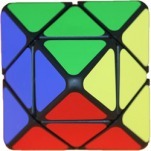 Puzzle News as of June 24.2010 - the Skewb Kite by Tony Fisher is now available. 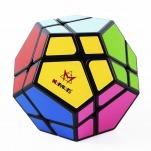 We are pleased to now bring you another Tony Fisher designed puzzle the Skewb Kite in 12 colors with a black or white body option, this can now be ordered direct from the Mefferts shopping-cart go to: www.mefferts.com . This Limited Edition is another great puzzle from Tony Fisher which will greatly enhance our Skewb cube range and any puzzle collection, featuring the full Skewb ball-bearing mechanism of course. KO sellers and Manufacturers. I know many do not agree with my attempts to stop this imoral copying of puzzles. The KO sellers and Manufacturers are unwilling to give credit or compensation to the original designers. By opening this category, each of the designers are receiving a 7% or as agreed with them royalty from me. We're selling these puzzles at a reduced rate, and no profit to ourselves. If enough people purchase from Meffert's and not other online shops, the KO Websites will be loosing money in the end and stop to sell. Then the Manufacturers will have no choice but to stop taking ideas from other people and we can arrange with them to enter into a proper licence. We thank you for your support in the fight against KO Sellers and legalizing some KO Manufacturers. Or click on the following link to remove yourself by entering your email address and clicking enter, you may have to copy and paste this complete link into your browser if the hyperlink does not work. Puzzle News as of June 21.2010 - New China Puzzle Category . We are pleased to announce the release of the New CHINA PUZZLE category as another important step in combatting the ever increasing onslought from the KO sellers and Manufacturers. Enjoy, as mentioned we will bring you a lot more, unique,fascinating and mind pleasing puzzles within this year. that your order is being processed and will be shipped promptly, you should receive it usually within two to three weeks. We only send out Tracking numbers if requested, as their main function is to prevent your local Post Man from stealing your puzzle. be clearly shown, if your parcel is returned to us due to incomplete/incorrect address we will charge you the second postage fee which in some case can be more than what you paid for your whole puzzle order. are more careful, we hope that you understand. Or click on the following link to remove yourself by entering your email address and clicking enter, you may have to copy and paste this complete link into yourbrowser if the hyperlink does not work. Puzzle News as of June 13. 2010 - The full set of eight Crazy 3x3 cubes is now available. We are pleased to announce the release of the full set of eight Crazy cube 3X3 puzzels with special two and three colour moulding for all those that have reserved them. some spares puzzles for those that have not yet reserved theirs you still have a chance, but please hurry. Enjoy, and we will bring you a lot more, unique,fascinating and mind pleasing puzzles within this year. This is mainly applies to Italy where local theft of parcels has been quite common in the last two years. The Hong Kong Post Office only Guarantees delivery to your country but takes no responsibility for the safety of your local Postal delivery. Puzzle News as of June 3. 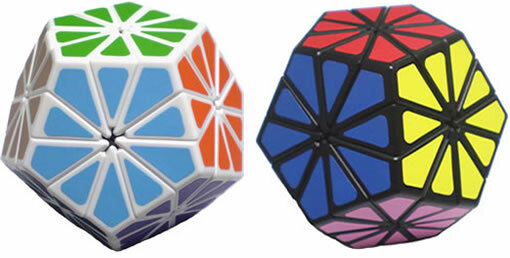 2010 - 14 face Skewb Hex Limited Edition is available now. We are pleased to anounce that the 14 face Skewb Hex cube designed by Tony Fisher both with black and white body can now be ordered direct from the Mefferts shopping-cart go to: www.mefferts.com . This Limited Edition is another great puzzle from Tony Fisher which will greatly enhance our Skewb cube range and any puzzle collection, featuring the full Skewb ball-bearing mechanism. with 9 colour German Vinyl matt finish long lasting stickers. Free Air-shipping to anywhere in the world where there is a Post Office. Please Note that once you receive our autoresponder email acknowleging your payment that means that your order is being processed and will be shipped promptly, you should receive it usually within two to three weeks. We only send out Tracking numbers if requested as their main function is to prevent your local Post Man from stealing your puzzle. This is mainly applicable to Italy where local theft of parcels is quite common. The HK Post Office only Guarantees delivery to your country but takes no responsibility for the safety of your local Postal delivery. Should you wish to be removed from this mailing list; just click "reply" and type "remove" in the subject line. Please make sure that you show clearly the email address you wish to have removed so that we can honor your request. Or click on the following link to remove yourself by entering your email address and clicking enter, you may have to copy and paste this complete link into your browser if the hyperlink does not work. Puzzle News as of May 27. 2010 - The All New Master Pyramorphinx is available now. Todat it gives aus much pleasure to bring you the All New and very special flat sided Original Master Pyramorphinx, designed by Tony Fisher which adds a new dimension to our Pyraminx. FOR ONLY US$18.00 which includes Free Worldwide shipping via Airmail. This is mainly applicable to Italy where local theft of parcels is quite common. The HK Post Office only Guarantees delivery to your country but tales no responsibility for the safety of your local Postal delivery. Puzzle News as of May 18. 2010 - Teraminx & Crazy Cubes by Mf8 reserve now. We like to thank all of you that participated in our special Puzzle Survey of the Teraminx, this survey is now completed and all those who particpated received a special email informing them of the special price of US$63.00, which includes a special bonus of $17.00 off our Puzzlers price of US$80.00. Thank you for assisting with this survey which was most helpful to us for understanding the level of interest from our Puzzle community for puzzles of this difficulty. The email included a special purchasing link which is valid for 7 days only and is not accessible to the general public. You have to be on the reserved list to use the email offer for the special $17.00 cost reduction bonus. If you cannot redeem your reserved Teraminx within the next 7 days please write to us to explaining why not. Only those who have answered the survey will be given this offer. I would also like to ask that you do not make this private link public as all other orders not already on the reserve list will not be honored. Both black and white version Teraminx can now be reserved from our Reserve Limited Edition Page at the special Puzzlers price of US$80.00. Stickers are provided loose with a free tube of superglue gel, as the Factory does not have the extra manpower required to fix the stickers onto the puzzle. We hereby like to Congratulate Mr. Ho of Mf8 Manufacturing for the excelent Quality of his Teraminx and the 8 styles of his Crazy Cube puzzles. Tonight I have the pleasure to bring you some very exiting news, first the release of the new Rubik's 2x2x4 Tower cube in original Japanese Packing. Greatly subsidized Price: only $30.00 Stocks are limited. And second our Puzzle of the Year for 2010, the Gear-Cube, (designed by M. Oskar van Deventer). uses a new speed cube inner core. new and unexpected solving experience. (of opposite faces). This is a bit harder, but achievable for many people. Hardest is solving the puzzle as a whole, which is still easier than the original Rubik's Cube. The Gear-Cube is a must puzzle for every Puzzle enthusiast. The final photos with the German vinyl stickers are not yet available. and we will start shipping from next Monday in the sequence of the orders received. If you receive an auto-responder acknowledgement of payment this means that your order is being processed. If the puzzle is registered we will post the tracking number up on our shoppingcart Customer-Login a few days after shipping. Please do not ask for your order status as answering unnecessary emails will rob us of valuable manpower which will slow down the shipping out of your puzzles. In the beginning of 2009 there where two companies that were taking photos off the web and turning them into puzzles for sale. By the end of the year, there were four. Now in April of 2010 there are six companies producing and selling the work of others. If this trend continues, within a few years there will be hundreds of small factories springing up. The wheels of justice turn slowly, and I am one small company trying to shut these companies down. The same events happened in the 1980’s in both Taiwan and Korea. It took years to stop the production and trade of copied puzzles. It is too much of a battle for me to fight alone, and many of the designers do not have the financial resources to bring charges against these companies. The original designers of these puzzles are getting neither their share of royalties, nor credit for the work they have done. While we can’t completely stop these factories from producing puzzles, we can attempt to slow down the sales of them. In the interests of the original designers, I plan to sell some of these puzzles on my website at a lower cost than they are currently being sold for. This ensures the original designers receive something for their creative work. I realize this is not the ideal solution for this problem, but it is a start. If we sell the puzzles at a lower cost than the copy companies can, they will have no choice but to stop what they are producing and move on to other products. I pledge not to sell any puzzles in this way if the original designer wishes I don’t do so. As posted in a previous newsletter, if you are an original designer of one of these puzzles being copied now, please feel free to contact me and I will do what I can to help you, buy selling your copied puzzle in our shopping cart and making sure that you receive your full Royalty direct from me and full credit for your invention. With two sets of color stickers and 1 tube of instant Glue gel. If the response of this survey is positive with the consent of Drew Cormier this puzzle will be added to our shoppingcart after only a few days. This Teraminx puzzle is produced by Mf8 Manufacturing. As with any puzzles bought from our site the rightful copyright owner receives his proper full royalties due to him/her. New Puzzle Survey for the Bandaged Circle 3x3x3 Cube original design by Adam G. Cowan. the pieces no stickers or tiles need to be used, it makes this a nice puzzle. If the response of this survey is positive before posting this puzzle for sale, I will confirm with Adam G. Cowan that this is OK with him and I will make sure that he receives his royalties as he will from other puzzles he has produced in the past. We are pleased to announce the limited release of the all new Helicopter Super Puzzle, created and produced by Adam G. Cowan and Jason Smith. Goods are on their way to the USA and the Helicopter cube will be availalable from the www.thetwistystore.com web site after around one month. Please see more details about this great new 12 core puzzle below. Goods are available for shipping immidiatly after Easter. To expedite shipping, please order the Helicopter cubes on their own as we are setting up a special Xpress shipping section that will only process the Helicopter cube for the first couple of weeks after Easter. Are You Worthy of the New Twisty Puzzle Challenge? Mass Produced Helicopter Cubes for Your Twisty Puzzle Collection. Everyone lies awake at night with a voice in their head telling them to mass produce their favorite puzzles. Right? We all have that. It's just part of the human condition to want more twisty puzzles on the market. Sooner or later, it's time to burn down the cubicle, sell the minivan, and pursue evil plans with a friend and fellow evil scientist. The Twisty Store is very proud to announce, in evil cooperation with The Twisty Puzzle Workshop, that mass produced Helicopter Cubes will be for sale soon at The Twisty Store. The first production samples are in hand, and we are confident you will be as thrilled with the quality as we are. Price and release date haven't been set yet, although you can cross your fingers for February. We will let you know as soon as we have a date we are sure we can stick to. Until then, feel free to start imagining your Helicopter Cube in your hands, playing with it for hours. Want to be the first to know when the Helicopter Cubes and other new puzzles are for sale? The Helicopter Cube is a twisty puzzle with slices allowing all 12 edges of the puzzle to rotate. Each edge can be rotated 180 degrees to scramble and solve the puzzle. 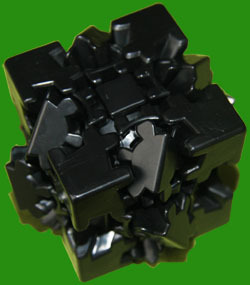 A special move is possible after a partial rotation, allowing the puzzle to "jumble", a very special property making the Helicopter Cube unique among mass produced puzzles. Hand made versions have been much sought after by collectors. The Helicopter Cube was conceived by Adam G. Cowan in 2005, but wasn't built until 2006, when Adam discovered that 3D printing could be used to realize the parts. The Twisty Store, operated by puzzle maniac Jason Smith, is dedicated to bringing you new and hard to find twisty puzzles at affordable prices, and supporting and partnering with designers in bringing their inventions to life. a twelve color white and black body Limited Edition Skewb Ultimate. Do not miss out on owning these beautiful puzzles at this special price. Our China New Year Holidays. Our office is officially closed since last night and will reopen on February 29th. EMS Speedpost items. Then they will start to ship the many accumulated orders in the sequence in which they where received. Shipping times are back down to around two weeks and should improve even further shortly. For tracking inside your country, say USA – USPS you may try to click on. For more details refer to the snapshots and markings. (with sample tracking number : RB019512443HK ) by click on the following link. Because we are still facing acute labour shortages, tracking numbers even so paid for are only sent upon request. To enter every tracking number would need one more full time English speaking staff that we just don’t have and we are trying to keep overheads down to a minimum to avoid having to raise our prices. I have been receiving a lot of emails on how to join the JadeClub which is by invitation only. Please send me an email: simply click reply and type Jade in the subject line. After you receive your invitation email, with invitation code, click on the www.JadeClub.org link fill out the Membership enrolment form and click submit. That will confirm your Application and show your Membership/Invite code and password, these you can change by using your email address as your login name and simply enter an easy to remember password. You can now proceed to the secure payment page to pay your one time subscription, which entitles you to some Free unique puzzles which are not available to none members. Now that we have reached the end of January and are fast approaching the Chinese New Year I decided to give you a double treat. Bringing back three favourites in the original color stickers and as a special treat for the first time as a limited edition; all three in a white molded body. And as pre-announced with new existing puzzles for every month of the year. The all new Jade Club, was successfully launched after some unexpected small hiccups which have now been eliminated. The response was overwhelming and I like to thank all of our Patrons for inviting a lot of new and old puzzle related talent as well as totally new blood. The Jade Club is a Membership club which is by invitation only. Some of our Patrons including myself have started the ball rolling by inviting some initial members to join, who then in turn can invite up to three VIP or Regular Jade Members. As I mentioned in our last Newsletter lets make it a Puzzle Community effort to reach our initial aim of 10K VIP members within 2010 and 500KK+ Jade Club Members within 7 years. Each member will receive a very special puzzle for joining followed by 1 or two special annual puzzles that are not available to non members, as well as other unique benefits. Any of you who have not yet received an invitation to join the Jade club as either a VIP or Regular member please let Ulrich, Uwe or Roxanne know and we will try our best to arrange an invitation for you ASAP. Simply click the return button and enter the name –Jades-- in the subject line. The Jade club is about to launch it first Puzzle design competition for the Jade 2010 puzzle of the year. With a cash prize and a quantity of puzzles to the winner. 2nd and 3rd place winners may perhaps be manufactured by Meffert’s Puzzles and Games for our online shop. We are also looking for volunteers to translate the Jade Club website into as many languages as possible. Now to all of you that are experts in website design, any input on how to make the new Jade Club site even more Web sociable using some of the most recent Web 2 features is greatly appreciated. Now here are the puzzles just released as mentioned above. Now that we have started a new year, it is our endeavour to bring you even more exciting puzzles then we did in 2009 also we will launch the all new Jade Club, on January 6 at 12 noon (GMT) which is a non profit venture to strengthen and expand our puzzle community very substantially worldwide. The Jade Club is a Membership club which is by invitation only. Some of our Patrons including myself will start the ball rolling by inviting some initial members to join, who then in turn can invite up to three VIP or Regular Jade Members. More on this after January 6th. Lets make it a Puzzle Community effort to reach our initial aim of 10K VIP members within 2010 and 500KK+ Jade Club Members within 7 years. Each member will receive a very special puzzle annually that is not available to non members plus other unique benefits. All of you who have two or three friend who are interested in puzzles and like to be actively involved please let Ulrich, Uwe or Roxanne know and we will try our best to have you invited to become Jade Club Members ASAP. Simply click the return button and enter the name “Jades” in the subject line. Now to all of you that have extended computer experience, any input on how to make the new Jade Club site more Web sociable using some of the Web 2 features will be greatly appreciated. We are pleased to announce that all of the FlowerMinxes and Pyraminx Crystals that where order prior to the New Year have all been shipped out. You should receive them in around 2 to three weeks after placing your order the delay is due to a worldwide posting crisis caused by an unexpected three fold increase in the amount of parcels being send mainly due EBay and Amazon type online purchases, The Airlines just do not have the capacity to carry all this extra cargo especially now that many International airlines are combining flight to save costs. Please be patient, See more on this topic below. You have most likely heard in the News that the Post offices worldwide are facing an unprecedented problem in that the amount of parcels due to EBay type sales having increased almost 4 fold from 2008 and the Airlines have insufficient space to carry all these extra unexpected parcels. It used to take 7 to 10 days to ship from HK to Europe and the USA now its around 5 weeks plus and this is expected to get worse as Airlines are reducing their number of flights and combining flight to stay competitive and in the black. Please check with your local Post Office as to the present time frame inside your country when a parcel is received from overseas. EMS (Speedpost) is still offering a reliable 3 to 5 working days service to countries where they have their own offices at a reasonable price. So for larger orders it is worse paying the extra US$30.00. Which in many cases is further subsidized by us. Some comparative postal times to Hong Kong include the following: from Canada first class mail is around 5 weeks; German first class mail takes anywhere from 3 to 6 months; mail from Australia is now taking 5 to 6 weeks when it was previously 2 weeks; packages from the United States take 3 to 4 weeks. The situation is getting worse both ways, so I want you to know it is not only packages you are receiving, but it effects us as well. We hope this situation will improve soon, but for the time being, please remain patient your packages will arrive-just a bit slower than normal. the FlowerMinx limited edition, designed by Dave Litwin. This is a very beautiful puzzle and certainly a must puzzle to own and a valuable addition to any puzzle collection. Please note that any orders now placed will only start to ship by early next week in the order that they are received. To expedite shipping, please only order the FlowerMinxes on their own as we are setting up a special Xpress shipping section that will only process the FlowerMinx for this our 2009 Christmas special to reach you hopefully by Xmas depending on your local Post Office, but certainly within 2009. Receipt of any mixed orders will take a couple of extra days to process. We will try to ship out all of the FlowerMinx orders by December 16th. We have received almost 1,000 reservations for the Pyraminx Crystal and seeing that the basic mouldings are the same as for the Flower Minx we have decided to make another limited production run based on a new reservations list, as the old reservations are in 5 separate list and a little confusing. So if you still want a white or black body Pyraminx Crystal here is your last chance as this great but expensive to produce puzzle will not be reproduced. As the 12 colour vinyl labels are not yet ready for the Pyraminx Crystal we used the old photos. Please Note that tiles will not be available in this production run. The Pyraminx Crystal is scheduled to be available to place your order by mid December. We are pleased to announce the limited edition Jings Pyraminx is now available in all versions. Black body with our standard fuchsia, red, green and blue Fluorescent labels from Germany. The Black body version with Cubesmith labels, yellow, red, blue and green. The White body version with Fluorecent labels, fuchsia, red, blue and green. The Black body version without labels for only US$16.00. The Black body DIY version, with a set of Cubsmith labels including a sheet of application film, our special Puzzle lube and 1 tube of super glue gel. Please note: That as we are bringing out one totally new concept puzzle every month until the end of 2010 we will not be repeating any production runs of the limited edition puzzles. The Jings Pyraminx is a very beautifully designed puzzle by Adam G. Cowan with curved features that nestles nicely into the palms of ones hands, has a nice soft but positively aligning function. We only made about 20% above the Reserved Puzzles, so it is best to place your order ASAP so that you do not miss out on these heavily subsidized large and beautiful puzzles and pay hundreds of Dollars later on eBay. Please note that all the puzzles ordered to yesterday have been shipped, and within a few days we will also be able to update our online shipping status. Thanks for you patience. All Puzzles are shipped Free by Airmail Post from our Hong Kong Warehouse. Today, we have several puzzles back in stock, also we found a few hundred 25th Anniversary Pyraminx with metalized tiles. This is your last chance to buy them direct from us if you missed out last time. Holey Megaminx is proving much more popular then we initially anticipated with lots of new reservations daily, once sold out we are not planning to reproduce this wonderful but extremely costly and difficult to make puzzle for several years, so make sure that you do not miss out this time. in Japanese packing is back in stock whilst stocks last. 12 color Tiled Megaminx with tiles and center caps fixed:suitable for Speed cubing. we are sure that you will just love these Megaminxes now. For Speed-cubing with loose tiles, center caps and a spare tube of super glue gel and small bottle of our puzzle lubricant. 10 ml just $5.00 including Free shipping via Airmail Post. Holey Megaminx designed by Lee Tutt, and the acute labour shortage which is getting worse. Also our sincere thanks to (in alphabetic order) Aleh Hladzilin, Adam Cowan, Dave Litwin, Emmanuel Carrillo, Geert Hellings and Tony Fisher for their fantastic puzzle designs and support. Now the return of the Original 12 colour tiled and stickered Megaminx which with the great help of Stefan Pochmann turns so much better then ever before and is suitable for speedcubing. Stocks are limited so do not miss out this time. For all those that had reserved the Holey Megaminx the following notice has been send. The Holey Megaminx with 12 color tiles attached and 12 color PET labels attached are now starting to ship. Please note that these are still in very short supply. So for anyone that has reserved a Holey Megaminx of any kind they are Free to change to any of the DIY or 12 color PET labels attached version for faster delivery. However we are still trying to ship in accordance in the order of the original reservation. The Holey Megaminx is proving much more popular then we initially anticipated with lots of new reservations daily, once sold out we are not planning to reproduce this wonderful, but extremely costly and difficult to make puzzle for several years, so please make sure that you confirm your order promptly as to not miss out. ANY RESERVATIONS THAT HAVE NOT BEEN CONFIRMED BY THE END OF SEPTEMBER WILL BE RELEASED BACK INTO THE NEW RESERVATION POOL to give as many puzzlers as possible the chance to own one of these great A Must Have! Puzzles at a reasonable price. If you have already changed to a DIY or PET stickers attached Holey Megaminx and placed your order, please disregard this notice and no need to contact us, we are very busy trying to get everyone’s order out ASAP and as already mentioned we are very short staffed. In closing we like to mentioned that we will release the original legalized Fisher Cube the end of next week at US$14.00 including Free Shipping by Air from Hong Kong. Each puzzle will carry the official Designed by Tony Fisher and the Mefferts Challenge logo clearly marked on each Fishers cube, with Tony receiving his just Royalties on every one of his cubes manufactured. A first step in the right direction in our fight in helping all puzzle inventers not to be cheated out of their royalties by scrupulous Chinese copy companies, and we hope that many more puzzle Inventors will also ask us for assistance in protecting their Intellectual Property rights. There has been some confusion regarding our Holey Megaminx DIY version which we have started to ship to the first 300 persons on our reservation list. As mentioned we are having acute labor shortages in southern China where our puzzles have been produced for the last 29 years. As it takes around one hour just to stick the tiles per puzzle, to service our customers more quickly for those that are willing to help to expedite matters ny sticking on the tiles themselves they may continue to order the DIY version when they receive our Email Notification that our DIY Holey Megaminx is now in stock. For those that want the tiles fixed by us, please just ignore this notification and be pationed you will not loose your reservation slot and another direct email will be send to you when those puzzles are ready for shipping. Today we have added to the bottom of our"Reserve Limited Edition Puzzles" page one more white body DIY 12 color tiled Holey Megaminx. For the DIY version they are all fully assembled with one set of loose tiles, either with 12 colors, 6 colors or two color tile sets and we supply one free tube of super glue gel. We have also added three versions of Holey Megaminx with PET labels on our Reserve Limited Items page. You may change your present reservation to a PET label Holey Megaminx which will be much quicker for us to produce, simply make another reservation for the DIY or PET Holey Megaminx you like now to order, we will not treat this as a double reservation and the shipping will follow your actual order placed with payment. Please do not try to jump the reservation cue and only those which are receiving an email that their Holey Megaminx is ready for shipment should place the confirmation order with payment. Should you wish to be removed from this mailing list; just click "reply" and type "remove" in the subject line. Please make sure that you show clearly the email address you wish to have removed so that we can honor your request. Or click on the following link to remove yourself by entering your email address and clicking enter Link you may have to copy and paste this complete link into your browser if the hyperlink does not work. We are please to announce that the Holey Megaminx in black body and DIY version is now ready to ship. The Holey Megaminx is fully assembled but the tiles are supplied separately with one free tube of super glue gel. 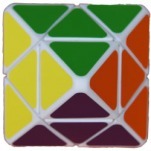 12 color, 6 color and 2 color tile sets are available. Please note that we are only processing Reserved puzzles at this moment. For those of you that want the DIY version with labels, white body Holey Megaminx and puzzles with the labels tiles attached, please be patient a little longer we are trying to finish these ASAP, but are seriously handicapped by the acute labor shortage in Southern China which is getting worth. Don't worry everyone that has reserved a Holey Megaminx will receive one. Regarding the T-Shirts, 50 persons had reserved them which would have been about the minimum quantity for us to have them produced, but only 2 orders where actually received, so we will refund them their money as it is not economical for us to produce, the setting up cost alone is $100.00. Sorry about some confusion regarding the availability of our limited edition Collectors Item Pyramorphinx for $16.00, unfortunately we have run out of stock of this version due to its high popularity so we will substitute the Pyramorphinx in HEX display box with mirror back and the original Fluorescent labels for the same price of US$16.00. We have had only 50 reservation requests for the T-Shirts so we will put them in our shopping cart tomorrow, please state in the Order Comment box the size you like to order, we have only four sizes: S, M, L and XL. 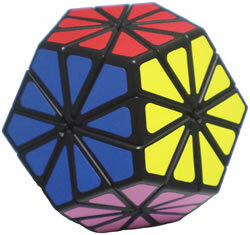 Tomorrow we will be placing our latest Puzzle the Reuleaux Skewb Tetrahedron. Designed by: Adam G. Cowan, I am calling it the Jing Pyraminx after my wife as she insisted that we include it into our Limited Puzzle Edition range at a greatly subsidized price. This beautiful puzzle will no doubt have a special place in any Puzzle Collection. It is the largest puzzle in our range, 100mm along each side and stands 100mm -4” high- with a weight of over 250gm,which is about twice the weight of our Pyraminx and similar to our Pyraminx Crystal, with a full size Skewb cube mechniasm. As a tribute to Adam and Jing and a service to our many loyal Fans, we will be offering this rare puzzle for only US$18.00 which includes our standard Fluorescent labels and Free Shipping to anywhere in the World where there is a Post Office. I will ask Chris of Cubesmith to make a special Chrome label set which will be available for the DIY blank Black and White body version. Sorry about some confusion regarding the availability of our limited edition Collectors Item Pyramorphinx in HEX display box with mirror back and the original Fluorescent labels for US$24 which includes Free Registered Airmail shipping Worldwide where there is a Post Office. The Pyramorphinx with Fluorescent labels packed in a bubble bag is still at the old price of US$16.00 which is far below our production cost for this limited run and will be available by the end of the month. The PyraStar for US$24.00 in HEX display box with FREE Registered Airmail Postage and the 4D8 and PyraDiamond also in a HEX dispaly box with Free shipping will all be available by the end of next week, but all only in a black body as we received very few requests for the white body version. Any person who has reserved these rare items will be notified direct to their mailing address. We have put up three Meffert's Puzzles design T-Shirts on our Reserve Limited Puzzle Edition page for US$18.00 ea. including Free Worldwide Shipping via Airmail Post. You will find the banner at the bottom of our http://www.mefferts.com HP, or use direct link: http://mefferts.com/page.php?lang=en&theme=new_puzzle_release Please note however that we will only produce these T-Shirts if there is sufficent interest. For any previous Newsletters, please click on the NEWS icon on our Home Page. Puzzle News as of July 7. 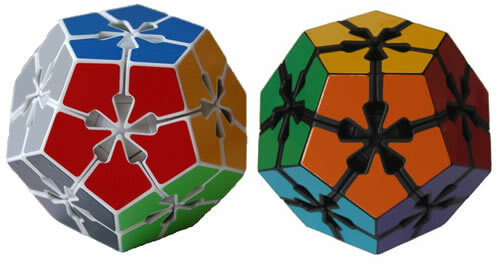 2009 – Holey Megaminx Special Features. Today we would like to outline some of the very unique features of the Holey Megaminx designed by Lee Tutt. Even though it is not designed for speedcubing, it has a very special new kind of hidden mechanism featuring 30 S/S balls and springs which allows for one finger turns with the corners clicking nicely into place. Apart from the 3 different tile configurations, there will also be a DIY version, black body with 1 set of Cubesmith labels. Production of the Holey Megaminx has started however we will only produce sufficient quantity of this Limited edition heavily subsidized puzzle initially to meet the demand of the Pre-Reserved Puzzles. If you have not yet Reserved your Holey Megaminx, please go to the bottom of our http://www.mefferts.com Home Page. and click on the banner “Reserve Limited Puzzle Edition” or use the direct link following: http://mefferts.com/page.php?lang=en&theme=new_puzzle_release you still have until Monday night. We won't produce another run of these if reservations are not high enough. **I have been in the puzzle manufacturing business for a long time and wish to thank everyone for their continued support over the years, for this reason the Holey Megaminx is being heavily subsidized by me and offered to you at below my production cost for this limited edition. Puzzle News as of July 6. 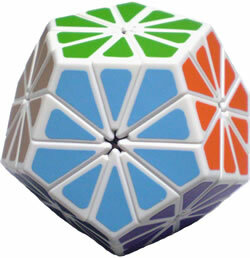 2009 – Limited Edition Holey Megaminx is in Production. As mentioned our new Mefferts Puzzle Gallery is now up and running, as some of you had problems with our FTP upload, so we made it easier for you If you have any nice pictures or Videos of any of our Puzzles, you can simply go to http://www.mefferts.com/upload/ to upload your zipped Gallery pictures or Videos do not forget to including your name, if your pictures or Videos is/are used in our Picture or Video Gallery you will be entitled to Free Puzzles to the value of US$42.00 with Free shipping via Airmail post from HK.. If you did not receive our last Newsletters, please click on the NEWS icon on our Home Page. Puzzle News as of June 25. 2009 – Submit your puzzle patterns and Videos now. Our new Mefferts Puzzle Gallery is now up and running, you may click on the Puz. Gallery icon on our HP. If you have any nice patterns of any of our Puzzles please upload your zipped Gallery pictures directly to: FTP: ftp://www.mefferts.com, user: p8835680-pic, pwd: 123!@#asd . We are also trying to improve our puzzle Movies section by creating a Mefferts Video Gallery. Please upload any Tutorial or Speedcubing videos for any of our Mefferts puzzles to: FTP: ftp://www.mefferts.com, user: p8835680-avi, pwd: 123! @#asd, don t forget to including your name, if your pictures or Video/s is/are used in our Video Gallery you will be entitled to Free Puzzles to the value of US$42.00 with Free shipping via Airmail post. We have now added to our Reserve Limited Puzzle Edition page the totally new Holey Megaminx designed by Lee Tutt in white body with 12 color tile finish. In case you missed our last Newsletter. The Holey Megaminx is a unique puzzle concept, the puzzle is completely hollow inside, you can see through all of the six openings. It looks like Magic that without any apparent mechanism the puzzles can turn very smoothly and the corners click nicely into place. This is made possible by the unique hidden mechanism that incorporates 30 steel balls and springs. These are beautiful puzzle to own, they come in three color configurations/difficulties, a two color version in Red and Blue tiles where each of the two hemispheres has one color. A one * puzzle similar to our Pyraminx in difficulty its a fun way to get started with mastering the Holey Megaminx. Then there is of course our standard 12 color tiled version and a special custom six color tiled version which adds the extra challenge of having several almost identical pieces. We are targeting to start shipping this Limited edition terrific puzzle in early July. Price only US$28.00 with Free Shipping via Airmail to anywhere in the world where there is a Post Office. Some of you are having difficulty finding our Reserve Limited Puzzle Edition and Reserve out of Stock Item banners which are located at the bottom of our http://www.mefferts.com Home Page. Puzzle News as of June 15th. 2009 – Reserve your Holey Megaminx now. First of all thanks to all of you that send so many nice patterns and shapes of some of our newly released puzzles, as there where many repeats we decided to mention the names of the contributors to our new Puzzle Photo Gallery and each one mentioned will be eligible for up to $42.00 worth of puzzles with Free shipping via Registered Airmail. Today we have posted on our Reserve Limited Puzzle Edition page the totally new Holey Megaminx designed by Lee Tutt. It is a unique puzzle concept, the puzzle is completely hollow inside, you can see through all of the six openings. It looks like Magic that without any apparent mechanism the puzzles can turn very smoothly and the corners click nicely into place. This is made possible by the unique hidden mechanism that incorporates 30 steel balls and springs. A beautiful must own puzzle, it comes in three color configurations/difficulties, a two color version in Red and Blue tiles where each of the two hemispheres has one color. A one * puzzle similar to our Pyraminx in difficulty its a fun way to get started with mastering the Holey Megaminx. Then there is of course our standard 12 color tiled version and a special custom six color tiled version which adds the extra challenge of having several almost identical pieces. We are targeting to start shipping this terrific puzzle in early July. Price only US$28.00 with Free Shipping via Airmail to anywhere in the world where there is a Post Office. Puzzle News as of May 25. 2009 – New Puzzle releases - MorphEgg is now available!!! Regarding the Master Pyramorphinx designed by Aleh & Adam and the Tony Fisher Golden cube and egg, If anyone has made any nice patterns I would be grateful if you would send me a nice hi-resolution photo, The person who’s submitted picture/s that will be included in our new Puzzle Photo Gallery will receive a Free puzzle of their choice from our shoppingcart. We have just started to mold the white MorphEgg designed by Adam Cowan and like to run another quick survey as to which other single color egg to add to the range of four. You have a choice of one more single color out of the following three, red, (the same red as the Tony Fisher Golden Egg red) Chocolate (the same color as the royal red) or black. Simply tick the item you want to reserve, on our “Reserve Limited Puzzles” Page, enter your email address and click submit. Puzzle News as of April 29. 2009 – Several New Puzzle releases. We have also posted a new puzzle in our Reserve Limited Items page you can reserve the MorphEgg with stand, designed by Adam Cowan simply by ticking the item you want to reserve, entering your email address and clicking submit. Anyone that has a better name sugestion for the MorphEgg please let us know. Puzzle News as of April 14. 2009 – All eight Golden Eggs Easter Collectors Special is now available!!! We now take pleasure in introducing and highly recommending the full exiting range of Gravity puzzles and Magic folding Plates puzzles by the brilliant designer Pantazis Houlis which many of you know of course. I find his CubeTron Gravity Puzzle series especially addictive and hard to put down. For more details and to place your order please go to: http://www.mindstratpuzzles.com/shop.html its a purchase that you will not regret. Puzzle News as of April 5. 2009 – Tony Fisher's Golden Egg Easter Special is now available!!! These very Limited Edition Golden Eggs make the perfect Easter gift and will not be reproduced. Orders placed will be honored on a first received basis until stocks run out. For any items oversold an immidiate full refund will be made. The Golden Egg, conceived by Tony Fisher uses a full sized Skewb cube ballbearing mechanism the same as his Golden Cube. The production for the Megaminx, Pyramorphix, Pyramorphix Star and the Pyramorphix diamond has now started, we'll advise everyone via our newsletter when they are ready for shipping. Puzzle News as of March 06. 2009 - Tony Fischers Golden cube in white body is now available!!! Please note that I made a mistake in my last Newsletter in the email address name it has no s in Meffert,. as said I am willing to assist to the best of my ability anyone whose puzzles have been illegally knocked off. If you are interested in my assistance, please feel free to contact me directly on meffert@mefferts.com . As most of you know we have had our Hong Kong office for over 30 years and about three years ago also opened a small office in Shenzhen China. This enables us to have a very good local knowledge as far as Taiwan, Hong-Kong and China manufactoring is concerned, so if you have any puzzle related enquries even if we cannot help directly we will pass your enquiry on to someone that can, just write to info@mefferts.com. The ballance of the Golden cube orders in Gold, Silver and Copper that where received during the Lunar New Year break are now in the process of being shipped, and by early next week we should receive the ballance of this limited production run and you will still have a chance to place your order at that time. Everyone that reserved a Tony Fischers Golden cube will get an email reminder that the product is back in stock until sold out. The black body Tony Fischer Golden cube will be available from March 15th. next Friday. Puzzle News as of March 01. 2009 - 777 cube and Holey cube survey now completed!!! The survey was successfully completed, we thank everyone that contributed their valuable comments. Even so the overall support was astounding, it appears that some of you were under the impression that we were going to sell copy cubes, even if they are of a high quality without the consent of the original Inventors, this is most definitely not the case. If I choose some wrong words please forgive me. The strategy as outlines in my previous Newsletters is intended to protect my own puzzles which are being copied and I believe that this strategy will be successful, the reason I included the void cube and 777 cube in my survey, was because these two items are very nice puzzles and I respect the brilliance of their respective inventors, and do not like to see these beautiful puzzles being destroyed by cheap copies flooding the European and world markets through China’s copy puzzle websites. By allowing these puzzles to be sold, all that will happen is that a few Chinese will be made rich at the expense of the legal Inventors. Not only will the inventors not receive any royalties on copies being sold in this manner, they will also be missing out on the lucrative local China market as some larger China companies register a mechanical and design patent the moment they see a new puzzle on U-Tube or the Twisty puzzle site, that they believe has potential for mass marketing. My Father used to tell me, you can do business with the Devil if you know he is a Devil, but beware of so called friends that may stab you in the back when the chips are down. The present China copy plague that is just starting can set the puzzle industry back 5 to 10 years as the Taiwan Copy Kings did in 1985 with in the end 700 factories copying the Rubik’s cube and my Pyraminx, which resulted in a partial collapse of the puzzle market and forced me to suspend my own puzzle operations for 5 years until 1990 When Sega Enterprises asked me to develop the Mickey’s Challenge puzzle ball which sold close to 3 million in the first two years followed by other puzzles which put me back on track. Without the shutting down of these copying factories, many of the new puzzles I have brought you over the years would not have seen the light of day. I believe that this time China being a much bigger country it will be much worse. If this is allowed to happen again it will be a great disaster for the puzzlers at large as there will then be very little new puzzle development and money for world championships and the like. Under China law for local companies, once a patent application has been accepted the full patent certificate will automatically be issued after 6 months. For a foreign company to challenge such a patent I was told is extremely difficult and would take many years during which time the China patent holder has the legal right to manufacture his patent approved product. This is quite different from the patent process in the west. As I already mentioned previously the Chinese Judicial system, still being a communist Country has no provision for foreigners to sue small companies or identities, this can be done only by the legal China Patent holder if they have strong internal Government connection. As I have not heard from Konstantinos Verdes, Katsuhiko Okamoto san or Cronus Co. Ltd. the Licensed distributor of the Void cube, I will not include them in any of my efforts to legalize copy puzzles in China for their local market to ensure that the Inventors receives a just royalty. With this in mind, if later my predictions should come true Konstantinos Verdes and Katsuhiko Okamoto san cannot blame me for not offering to help. My intentions were much more honorable than the companies now producing copies of their brilliant puzzles. However I am willing to assist to the best of my ability anyone whose puzzles have been illegally knocked off. If you are interested in my assistance, please feel free to contact me directly on meffert@mefferts.com . Just in case that you did not receive our last Newsletter, the balance of the limited edition Tony Fisher Golden cubes, plus a small quantity of silver, copper and white cubes will be available around Wednesday of next week. The black cube version with Cubesmith chrome labels will follow around two weeks after that. The Tony Fisher Golden Egg limited edition will be released around the middle of March in eight colors. Several other exiting puzzles are being tooled or are in the final debugging stage, more details about these when we are closer to producing them. Also several of the more popular out of stock items will be reproduced within the next few month. I have just posted a couple of old popular puzzles on the -Reserve out of Stock Items- page to determine just how many we will need to make to satisfy everyones requirements. The white body original solid pieces, tiled Prof. cube will be available from Wednesday March 3rd. Registered mail: We have added an additional shipping option for Registered Mail to our order form at a charge of US$2.00. As we have been informed that in some countries like Italy and Mexico parcels just magically disappear during the holidays, or if your mail box is not secure and the parcel is stolen we are not responsible for that as well. We only guarantee that the parcel will be delivered to the postal service in your country. If any of the above conditions applies to you please choose the Registered Mail option to protect your puzzle order from theft. Puzzle News as of February 25. 2009 - Our copy cube survey successfully completed!! The copy cube survey was successfully completed, we thank everyone that contributed their valuable comments. Even so the overall support was astounding, it appears that some of you got the wrong idea thinking that we are going to sell copy cubes even if of a high quality without the consent of the original Inventors, this is most definitely not the case. If I choose some wrong words please forgive me, with English not being my mother tongue. The strategy as outlines in my previous Newsletters is intended to protect my own puzzles which are being copied and I believe that this strategy will be successful, the reason I included the void cube and 777 cube in my survey, was because these two items are very nice puzzles and I respect the brilliance of their respective inventors, and do not like to see these beautiful puzzles being destroyed by cheap copies flooding the European and world markets through China’s copy puzzle websites. Making a few Chinese Rich at the expense of the legal Inventors. Not only will they not receive any royalties on copies being sold in this manner, they will also be missing out on the lucrative local China market as the legal China Patents have been granted to some local copy companies with strong Government connections. My Father used to tell me, you can do business with the Devil if you know he is a Devil, but beware of so called friends that may stab you in the back when the chips are down. The present just starting China copy plaque can set the puzzle industry back 5 to 10 years as the Taiwan Copy Kings did in 1985 with in the end 700 factories copying the Rubik’s cube and my Pyraminx. Only this time China being a much bigger country it will be much worse. If this is allowed to happen it will be a great disaster for the puzzlers at large as there will then be very little new puzzle development and money for world championships and the like. Following is a summery of my strategy on how to tackle this situation. More information on this in the next Newsletter, being released soon. Under China law for local companies once a patent application has been accepted the full patent certificate will automatically be issued after 6 month. For a foreign company to challenge such a patent I was told is extremely difficult and would take many years during which time the China patent holder has the legal right to manufacture his patent approved product. This is quite different from the patent process in the west. As I already mentioned previously the Chinese Juristic system has no provision for foreigners to sue small companies or identities, this can be done by the legal China Patent holder if they have strong internal Government connection which Mr. Chan’s company has. The Verdes V cube Patent (CHINA, 200480013109.3) just briefly explains the theory that the mechanism can make 2x2 up to 11 x 11 cubes without any diagrams or further detail. A senior China Patent Office Official told Mr. Chan that the V cube Patent application is not recognized as a patent in China as it does not give sufficient details, hence they accepted Mr. Chan’s 777 cube application. And Mr. Chan’s company now is the legal owner of the China Patent for the full V cube series 2,2,2 to 11,11,11 cubes in China and is the only one that has the legal right to sue other local factories if they infringing his patents. See the China patent office website below. The balance of the limited edition Tony Fisher Golden cubes, plus a small quantity of silver, copper and white cubes will be available around Wednesday of next week. The black cube version with Cubesmith chrome labels will follow around two weeks after that. The Tony Fisher Golden Egg limited edition will be released around the middle of March in eight colors. Several other exiting puzzles are being tooled or are in the final debugging stage, more details about these when we are closer to producing them. Also several of the more popular out of stock items will be reproduced within the next few month. Early March we will have these placed on our -Reserve out of Stock Items- page to determine just how many we will need to make to satisfy everyones requirements. Puzzle News as of February 3. 2009 – Golden cube status update ! Hi all! Thank for your enthusiasm in the Tony Fisher Golden cube series, due to overwhelming response we sold out of the cubes on January 24th. So the Golden cube is now temporarily out of Stock. Were other puzzles where combined with the Golden cube orders, these will now be shipped together early March. We will not capture your payment until the date of shipment. Special Notice: Our office is closed until February 9th. for the Chinese New Year Holidays. From February 2nd we will have one person on duty for urgent matters and sending out EMS Speedpost courier items. Should you wish to be removed from this mailing list; just click on the Mailing List Icon and enter your email Address in the remove window and click enter. Puzzle News as of January 21. 2009 – Golden cube release & Lunar NY Holidays !!! Today we are pleased to release the Golden cube Special Lunar New Years Collectors edition, only 100 sets available in hand electroplated Gold, Silver and Copper, for the special price of US$120.00 including FREE Airmail shipping. Pls go to: http://sites.webec.com.hk/meffert/index.cfm?fuseaction=cart&cartaction =add∏uct=285&qty=1&tid=3017770 the Golden, Silver and Copper cubes can now be ordered from http://sites.webec.com.hk/meffert/index.cfm?fuseaction=browse&pageid=87 apart from a few of the first orders the rest will only be shipped after the Lunar new Year holidays on February 10th. in the order of receipt. To reserve your black Tony Fisher’s cubes with Cubesmith labels please go to: http://mefferts.com/page.php?lang=en&theme=new_puzzle_release. We just finished a limited amount of black body Tetraminx with the original Fluorescent labels still only $16.00, and our original Prof. cube (with solid pieces) black body DIY Prof. 5x5x5 cube with fixed tiles and loose center caps with a tube of Instant Glue Gel and our special puzzle lubricant suitable for speed cubing price only $30.00 and the regular black body version with fixed center caps and no extra lubrication oil is still only $28.00, the white body version will be available after the Lunar New Year holiday. Please Note that our office and factory will be officially closed from January 23rd until February 9th for the Chinese New Year Holidays. From February 2nd we will have one person on duty for urgent matters and sending out EMS Speedpost courier items. I received numerous emails of support for my SPECIAL NOTICE in our last Newsletter. I am glad to hear that this message was well-received. Please excuse me for not answering each one individually. Here is my message to anyone whose puzzles have been knocked off: Get in touch with me and together we will make it possible for your puzzles to reach the puzzle community worldwide with FREE shipping via Airmail as has been my policy for many years. and for you to be paid the royalties due to you, quick action is the key to successfully combating the copy companies.. I will arrange for selected good quality copy products to be sold through legitimate channels by distributing them through our outlets in Hong Kong, China and Taiwan. I will also display some of these on our website in a special category named ”Preview Miscellaneous Puzzles” and I will deposit a 4% royalty allowance into a special account for payment to the rightful inventors of these puzzles. If you are one such inventor, all you have to do is contact me with proof that you are the original creator of the puzzle in question and provide your PayPal or bank details. This will assure that puzzle fans worldwide have the chance to add your puzzles to their collections, and that you will receive the royalties you rightly deserve. If anyone reading this has comments or suggestions regarding any puzzle related issue, or suggestions on how to improve our website or service, please feel free to contact us via email at News@mefferts.com. We will answer as soon as time permits. Puzzle News as of January 12. 2009 – New Puzzle releases !!! To the Puzzle enthusiast of the World, may it bring you Health, Happiness and lots of Puzzling Fun. We have several exiting things to share with you today, new puzzle releases and a couple of imminent releases plus an important strategy I have started to employ in an effort of combating the ever increasing pirated puzzle copies in China which is growing rapidly and is being fed by people breaking the International copyright laws by purchasing these illegal goods online, thereby unwittingly becoming criminals. we should all strive to combat such illegal practises by encouraging all of our friends to do the right thing and only buy legal fully guaranteed puzzles. Today we are happy to bring you some traditional puzzles from re-tooled molds which enable us to keep our old prices. Such as the new original Pyraminx, with fluorescent labels with a white and black body the pieces have been hollowed out to save cost. The same for the Tetraminx with tiles and also a fluorescent label version will be added in around 10 days at the old price of $16.00. Then there is the new white body DIY 12 colour tiled Megaminx, the black body version will be available shortly after the Chinese New Year around February 15. Our new black body DIY 5x5x5 cube with fixed tiles and loose center caps with a tube of lubricating oil suitable for speed cubing will be $30.00 and the regular black version with fixed center caps and no extra lubrication oil is still only $28.00, the white body version will also be available after the Lunar New Year around February 21. This is our original solid piece design from 1982, please go to our -New Products- category or to: http://sites.webec.com.hk/meffert/index.cfm?pageid=79. Golden Cube -Lunar New Year- Special Collectors edition. A very limited number only have been produced in Gold, Silver and Copper by hand electroplating, to give that individual touch. Special price for a set of 3, only US$120.00 including Free shipping via Airmail. Go to the Reserve Items category or to http://mefferts.com/page.php?lang=en&theme=new_puzzle_release. Size: 8cm x 8cm x 8cm. You can now also reserve a black custom version of the Fisher Golden cube with custom chrome stickers from CubeSmith. Also our Skewb Golden Egg with stand, in various colors. So the following may take most of you by surprise. When I started selling my Pyraminx back in 1981 over 300 factories from Korea and Taiwan where copying my Pyraminx and even more the cube which was one year ahead of me in the market place. I ended up spending over US$ 3.5 million in trying to protect my patents with little positive commercial effect. It took around 5 years for those Countries to improve their patent and copyright laws. I have given a lot of thought to the illegal copy issue ever since and like to share my strategy in combating the many puzzle copies now being produced in China, cheating inventors out of their rightly deserved royalties. I sincerely believe that this is the only effective way to beat the copy companies but I cannot do it on my own. China has 1.4 Billion people of whom 30% are middle class who like to buy brand name products if they are available. That is why all the major fashion houses have set up their own boutiques in Asia and in the last couple of years have strongly focused on China with astonishing results and are making progress in slowly but steadily beginning to force out the illegal copies. I have in the last 12 month established close relationships with small retails gift and puzzle shop owners who also provide wholesale to individual shops. This operation has now been extended to the major cities of China. Each of these licensed shops has an exclusive high class Mefferts Puzzles corner where my puzzles are being sold at similar prices to what the better quality illegal copies are now selling for. A Rubik’s cube knockoff could be bought a year ago for RMB 4.00 = then to US$0.50 cents, this year they are selling for RMB 30.00 to RMB 45.00 = to US$4.40 to $6.60. Most of my puzzles and of course the Rubik’s cube have been copied. My strategy of providing genuine puzzles for just 5% to 10% above the illegal copies with better quality and packing is proving to be very successful. My aim is to have all the original design puzzles sold legally with full royalties to the inventors through my company. The common practice here in China is that someone with money will make the molds, and has the injection molding of the individual parts done by several small factories, the same applies to the metal parts, labels and packaging. Then in a cottage industry fashion these parts are delivered to small communities where the puzzles are assembled on a per piece compensation basis by large family groups in their homes. No factories such as we know them are being used. This model is an exact copy of what Taiwan and Korea did almost 30 years ago and is almost impossible to stop as I learned the hard way. I have now established a working relationship with several of the best copy companies who are keen to run a legal business and have entered into an agreement with me for the Mefferts Challenge brand, which is now also becoming popular in Hong Kong, Taiwan and China. It is my sincere desire to have as many original designs included in my range which will be sold with the inventors name in the Mefferts Challenge puzzle section. However we need to act fast whilst this concept is gaining momentum, in that way we can force the copy companies out of business within a relatively short time of say two to five years as in the end happened in Taiwan and Korea. FYI the Back to Square-1, Void cube, 6x6x6 and 7x7x7 V-cubes have all been successfully copied and the mold for the V-cube 9x9x9 is almost finished. It makes me very angry to see the local copy companies becoming millionaires over night whilst the poor original designers/inventors get nothing. As soon as the copy companies see a new puzzle that they think has potential on the Twisty Puzzle forum or U tube they will take out a Chinese local design patent which can be granted in China within 6 month at relative low cost. I am very happy to enter into an immediate royalty agreement with the designers of any unique puzzles that have been knocked off and will try to make a deal with the company that made the copy mold to improve their quality and legalize their activities with them selling the then legal goods through my retail partners channels. Time is of the essence so anyone who wants to cooperate with me, receive the royalties that they deserve and help stamp out illegal copies needs to act quickly in this regard and hopefully will contact me via email at News@mefferts.com. Puzzle News as of December 23. 2008 - Merry Christmas & A Happy New Year !!! May you meet every days challenge and emerge victorious. May you experience all the love and happiness that your heart desires. Puzzle News as of November 24. 2008 - New release the Original Master cube. Early December we will release our Collectors Christmas Special. This will be followed by our New Years Special Collectors Edition and for early Next year our Easter Collectors Special. We will also be releasing a couple more brand new very exiting puzzle designs very soon, keep reading our Newsletter which will be posted to you for all new puzzle releases. Puzzle News as of November 9. 2008. Congratulations to Panayiotis K. Verdes. Today we like to offer our hearty Congratulation to Panayiotis Verdes for his wonderful invention and design, of the patented V-cubes, which he is now also producing and marketing. 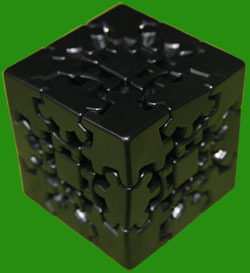 They have now been available since June 2008, if you have not yet got one of these great puzzles, you can place your order now by going to: http://www.v-cubes.com/ecom/home.php?cat=248. Whilst the 6x6x6 V-cube is special, I particularly enjoy the very smooth to turn mechanism and unique shape of the 7x7x7 V-Cube. Puzzle News as of October. 19. 2008. New limited edition release of Back to Square 1 and custom Dogic. http://www.mefferts.com/products/index.php?category_new=4〈_new=en our Flash site, one 10ml bottle of puzzle lube will be included with each of these puzzles to facilitate the breaking in and smoother turning, just make a half turn and squirt a little of the lubricant into the exposed sections, then turn the puzzle several times to spread the lubricant and do this for all sides, the lubricant will dry after approx. 3 to 4 hours. You will also find a new collector's item Dogic in 5 colors plus an 11 color special custom tile kit also under collector's item. This special 11 color custom tile set consisting of 120 tiles, has two white poles, (10 large and small tiles) and 5 large & small tiles for each of the following 10 colors. Black, light green, yellow, red, orange, turquoise, purple, dark blue, medium blue, and pink. A very limited quantity of this collector's special which represents the last of the Dogic series is available directly from us. When these stocks run out the Dogic series will not be reproduced, unless that we receive a large commercial order which is most unlikely. However we are also offering the special 11 color custom Dogic tile set for US$23,00 whilst stocks last. As always we offer: Free Airmail Shipping from Hong Kong to anywhere in the world. We are now working on several new puzzles several of these will be released hopefully in time for Christmas amongst them, Tony Fisher's Golden-cube, one -Puzzle Surprise- and a new version of our full size tiled Master-cube 4x4x4 and full size Prof.-cube 5x5x5. Both will come in white and black bodies and there will also be a DIY version for Speed-cubers, with separate tiles, Meffert's puzzle lube and super glue gel. In the next couple of days we will post these up on our Reserve Limited Puzzle Edition page, please click on the puzzle you like to reserve to show your interest in owning one, our limited production quantity will be guided by your input. You'll be pleased to hear that we have made new re-designed molds with hollow pieces to lower production cost so that we can keep the old prices. Puzzle News as of September 16th. 2008 - New limited edition release of Pyraminx, Skewb and Megaminx. We are happy to announce the release of a new batch of Megaminx with 12 color PET labels as well as a DIY version for speed-cubers with loose caps, our special puzzle lubricant and a tube of super glue gel. this is a limited edition. The 12 color plastic tile sets have been ordered and will be made available for the old price of $12.00 including, Free Airmail Shipping once they arrive into our warehouse. For these please have some patience. The Pyraminx and Skewb are available with long lasting bright colors PET labels and also in a new Hexagon display box, please note that these are also a limited edition so hurry whilst stocks last. If you like to reserve some of our out of stock puzzles, please go to “Reserve out of stock items” and click the “remind when available" button. We will re-produce puzzles in the order of public demand for them. Now for all you speed-cubers; if we produce the Megaminx with tiles again for the “DIY for speed-cubers version”, which would include our special puzzle lube a tube up super glue gel and the caps loose, do you prefer to have the tiles already fixed to the puzzle or have them all separate the same as last time? For your answer simply click "Reply" and type "Separate” or “Fixed" in the subject line. Puzzle News as of July 23. 2008 – White Pyraminx Crystal and the Pyraskewb. We trust that you all received our news letter via the new mailing list. You can now Register / Remove your name from our mailing list by clicking on the mailing icon. with the following message, be sure to enter your correct email address in the window. Unfortunately the confirmation notices are only in German see below for reference. If you missed some Newsletters please click on the News icon for all the latest updates. Now to the Pyraminx Crystal which was originally only planned to be produced in black which is our standard puzzle body color. Then Aleh Hladzilin who made the prototype of the Pyraminx Crystal for us asked if as compensation we could make for him an exclusive batch of 25 white body Pyraminx Crystals, this we agreed to do. However when it came to actually producing them, our injection molding department made an substantial over run of a few hundred part sets as it is apparently not possible to mold just 25 sets. It only takes 10 or so seconds for each injection shot of many pieces on our high speed injection molding machines and half a day to set up and adjust the molds. Rather then wasting all of these extra white parts, we then as an after thought decided to assemble some of them and put them on our website yesterday. To our surprise they sold out very quickly. If anyone else is still interest in the white body Crystal please go and click on the "remind when available" in the New Products category If there is sufficient interest after say a week or so in more white Pyraminx Crystals, we can have more assembled, there are still more surplus components left in the factory. I am now thinking to produce this nice puzzle by Katsuhiko Okamoto san, after the Golden cube, but before I do, I like as is my practice, ask you all for your opinion do you like this puzzle? If you would like to buy one of these unique puzzles for US$18.00, tick the box in “Reserve Limited Puzzle Edition”. I am also trying to find the perfect name for it, such as the present name "Pyracue"/"PyraSkewb" or "PyraSkewb back to Square-1" etc. any better name suggestions? the size is that of a regular Skewb / cube 54mm. Price will be US$ 18.00. Puzzle News as of July 14.2008 – The Pre Ordered Pyraminx Crystal have ALL been send. Good news we have completed sending all the Pyraminx Crystals, it was an horrendous task, stretching our manpower to the limits. So in future we are unable to offer a pre-order service. Again we like to thank you all for your patience. The Pyraminx Crystal is a beautiful puzzle, actually two puzzles in one, hidden inside is a Megaminx with an outer layer creating the Pyraminx Crystal. We like to hereby express our sincere thanks to Aleh Hladzilin for his creativity and help in bringing the Pyraminx Chrystal into production. One quick word of advise The Crystal is a puzzle for Advanced Puzzlers and needs to be handled with loving care especially during the breaking in period of around 1000 turns. Gently tap one of the 12 sides of the Crystal on a flat surface to fully align the pieces, (this can be done at anytime during puzzling) hold half the puzzle gently in your left or right hand and then gently turn one slice with the other hand, never forcing a turn, always gently reverse a turn slightly should it starts to jam and then continue. For all you speed-cubist out there, you can easily fine tune the Crystal with a 2mm or 3mm cross head screw-driver as each screw head is visible inside the center of the 10 triangles (no center caps to remove) on each of the 12 faces The more even the tension on each face the better the puzzle will turn. 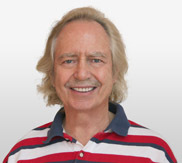 The solution will be available on our site after 1 month, courtesy of Jaap Scherphuis. we want you all to try hard to solve it on your own first, it is much more rewarding that way. Ulrich solved it for the first time in around 4 hours. Please post your best times on our Forum and let us know your comments about the crystal, we hope that you will just love it as much as we do. Puzzle News as of June 30. 2008  The Pyraminx Crystal is ready for shipment. We like to thank you all for your patience, The Pyraminx Crystal production was completed and delivered to our Hong Kong warehouse, as July 1 is a holiday here we will start to ship out all the pre-orders in the sequence that they were received as from July 2nd. The Crystal is a beautiful puzzle, actually two puzzles in one, hidden inside is a Megaminx with an outer layer creating the Pyraminx Crystal. We like to hereby express our sincere thanks to Aleh Hladzilin for his creativity and help in bringing the Pyraminx Chrystal into production. One quick word of advise The Chrystal is a puzzle for Advanced Puzzlers and needs to be handled with loving care especially during the breaking in period of around 1000 turns. Gently tap one of the 12 sides of the Crystal on a flat surface to fully align the pieces, (this can be done at anytime during puzzling) then holding half the puzzle gently in your left or right hand and then gently turn one slice with the other hand, never forcing a turn always gently reverse a turn slightly should it starts to jam and then continue. For all you speed-cubist out there, you can fine tune the Crystal with a 2mm or 3mm cross head screw- driver as each screw head is visible inside the center of the 10 triangles on each of the 12 faces. The more even the tension on each face the better the puzzle will turn. Please let us know your comments about the crystal, we hope that you will just love it as much as we do. If you wish to be added to our mailing list please go to our HP www.mefferts.com and click on the Mailing List icon, enter your email address and click submit. Puzzle News as of June 20. 2008 – The 6x6x6 and 7x7x7 V-cubes are now available. 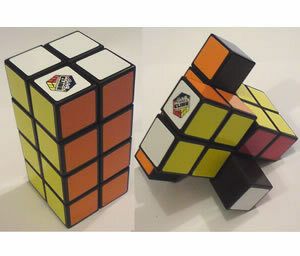 Good news, the 6x6x6 and 7x7x7 V-cubes are finally available, please purchase them direct from Mr. Verdes at http://www.v-cubes.com/ecom/home.php?cat=248 Sorry it took so long, enjoy. A few totally new puzzles will still be released within this year, as well as several out of stock items such as the Megaminx and others will be back in stock soon. The Pyraminx Crystal, a beautiful and challenging puzzle will finally be shipped from the 1st of July. It will however take some time to ship out all the backorders. Unfortunately the acute labor shortage in southern China and new custom requirements of having to submit production samples 3 month prior to shipment for safety testing to the custom authorities has delayed everything by several month. We greatly appreciate your patience. Puzzle News as of May 31st. 2008 - our Newsletter server has been upgraded. We have just finished upgrading our mailing list server, so this News Letter serves as a test. I do hope that you all will now be receiving all of our Newsletters, if you have not been getting any of our News letter recently please go to our HP www.mefferts.com click on the NEWS icon and check if you missed any important updates. Should you wish to be removed from this mailing list; just click Reply and type Remove in the subject line. Please make sure that you show clearly the email address you wish to have removed so that we can honor your request. The Production start date for the Pyraminx Crystal has now been set for June 6th. Please note that it will take a week or so to produce all of them as it requires 200+ workers for 1 production line and it takes over 1 hour to assemble each piece. The acute labor shortage in southern China and now the Earthquake problem is not helping one bit. We will ship your order in the sequence of when we received it and let everyone know via this Newsletter when all of the Crystals have been shipped. It takes 2 to 3 weeks for Airmail to reach you depending on your local Post Office. Your further patience and support is very much appreciated. The other good news is, that we have now completed the production of the 3D Skewb and Polymorphix, Two beautiful looking puzzles, the Polymorphix as you slowly turn the whole puzzle in your hands in any of the 4 directions changes to the color of one of the center edges. To order one of these great limited edition puzzles, click on our online "Puzzle Shop" icon, then select the "Meffert's Puzzles" category or go direct to http://sites.webec.com.hk/meffert/index.cfm?id=490083&pageid=87. It takes around a day to update our shopping cart servers, so you should be able to place your orders from tomorrow. The molds for Tony Fisher's Golden cube have been started, this is a very unique and very challenging puzzle(no solution will be provided) it is however based on the Skewb Ultimate solution the Electro-plated gold finish gives it a unique expensive appearance. Puzzle News as of April 27th, 2008 - Pyraminx Crystal debugging has finally been completed. Good news, we have finally after a lot of expense and effort completed the debugging of Pyraminx Crystal and the molding of all 12 color tiles has also been completed. So tomorrow we will ask the factory to arrange scheduling the production. However please keep in mind that all the factories in southern China are experience acute labor shortages. We will try our best to schedule production ASAP and will let everyone know once the factory has given us a firm shipping date. We like to extend our gratitude to you all for your patience and hope that you will be satisfied with the finished product. The next new puzzle after the Polymorphix and 3D Skewb will be the metalized Golden cube. Regarding the 4 Layer Pyraminx, we found the present design using the keychain skewb mechanism is easily broken if a person abuses the puzzle during play or forces a turn for this reason we decided against making it and also for the same reason we will not be reproducing the Pyramorphix for the time being. We give an unconditional guarantee on all of our puzzles and if misused by novices the return rate for these two puzzles could be very high. We are now studying on how to improve the mechanism to make it strong enough for commercial use, once we have such a solution we will once again seriously consider to make these two nice puzzles. Should you wish to be removed from this mailing list; just click "Reply" and type "Remove" in the subject line. Please make sure that you show clearly the email address you wish to have removed so that we can honor your request. The problem has been fixed and all orders received during that period have now been successfully processed and shipped. We apologize for any inconvenience and frustration caused. To show your interest in purchasing any of these please tick the box below the puzzle enter your email address and click submit. If you have already indicated your interest in any of these puzzles via email, then please do not tick that box again, as duplication will not be helpful in guiding us in making the right choices as to which puzzles to produce first. The 4 layer Pyraminx whilst a beautiful puzzle is very costly to tool up and quite fragile which cannot be improved very much as to keep the size to just 10% larger than the standard Pyraminx we have to use the Skewb Keychain mechanism. The Meier / Halpern Pyramid will be added to the list within the next couple of days. Should you wish to be removed from this mailing list; just click "Reply" and type "Remove" in the subject line. Please make sure that you show clearly the email address you wish to have removed so that we can honor your request. We were just informed from our Payment processing company that their secure server upgrade is experiencing some technical problems and we cannot view any product and shipping detail for all orders made from March 21st until now. They are working around the clock to fix this problem and we will let you all know when shipments of orders has re-commenced. Thank you for your kind understanding regarding this delay in order shipments which is beyond our control. Puzzle News as of March 25th, 2008 - Pyraminx Crystal shipment and New Product Pre-View. First I like to give you and update on the Pyraminx Crystal, it turned out to be a much harder puzzle to make then was first thought. The molds are quite complicated, the good news is that we are slowly getting there but one has to have patience in these matters as it has taken many mold modifications to date with a few more still being necessary and then some production fine tuning. There is no doubt that It will be a very nice puzzle when finished, and well worth the wait. We will send everyone another Newsletter once the molds have been fully debugged and the production date has been scheduled. Then we will be able to give you a more accurate shipping date. Please note if anyone does not want to wait any longer just let us know and we will give you an immediate full refund via PayPal. That will however mean that you will lose your cue in the pre-order line, this being a limited production puzzle that could mean that you may miss out altogether on this wonderful puzzler. If you are still not receiving these Newsletters, please check your security settings and take a regular look at the "News" page at www.mefferts.com. You may like to take a look at our new "Pre-View" category for new proposed puzzle listings. Such as the "Metalized Golden cube", The "3D Skewb" and the "Polymorphix" all limited editions. The "3D Skewb" and the "Polymorphix" are constructed from Skewb cube & Skewb Ultimate components to create a nice 3D effect and adds a new dimension to these two great puzzles. To assist in helping me make up my mind if I should produce any or all of these 3 puzzles, it would be a big help if you could let me know if you would like them to be produced. In such a case please click "Reply" in the subject line and type "Golden-cube" or "3D skewb" or "Polymorphix" to show your interest in these 3 new proposed puzzles. 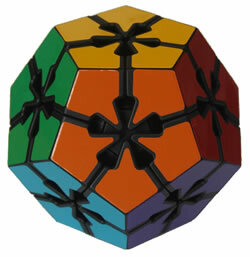 We have received a few comments that the Skewb Ultimate mechanism on one axis is not as smooth as what it used to be. I will have this looked into however once you play with it a lot it will become more smooth as the puzzle get properly broken in. Another topic is about the poor glue we are forced to use for sticking on our plastic tiles do to new Toy Safety laws during manufacture. The loose tiles can easily be permanently fixed with a little instant glue, or if you let us know we will send you a free tube of instant glue gel. So if you think that a loose or falling tile is a defect please do not buy any of our tiled puzzles, which many puzzlers love, as we cannot fix that problem at the moment but are continuously looking for new and better glues that meet present Toy Safety standards. We take pride in the puzzles we produce and strive to bring you a good quality product which is fully, unconditionally guaranteed to bring lots of enjoyment to intelligent people. However some of these puzzle mechanism are delicate so especially during the break in period Never, Never, Never, Never Force a turn. Keep in mind that no product is 100% perfect. with less the 1% defective rate in over 150 million puzzles sold that is not to bad a result!. We are still receiving quite a few orders without a proper shipping address especially a valid zip code. We are finally back at work after the long Lunar New Year break and I like to update you all on a couple of important issues. First of all I like to assure everyone that all their Megaminx orders have been shipped, however it appears to be taking around 3 weeks to reach some locations instead of the usual 1 to two weeks. Please be patient a little longer. If after another 7 to 10 days you still have not received your Megaminx, please let us now with your order number and we will check with the Post Office as to what has happened to your shipment. However please be assured that it is very rare for shipments to be lost. Secondly regarding the Progress of the Pyraminx Chrystal, the tooling was completed early February just before the Lunar New Year Holidays on time. During the usual mold debugging we noticed that several mold modification are necessary for a smoother turning puzzle. Some of these mold modifications can be tricky and it is hard to guess just how long it will actually take until the modifications are completed and perfect, this may take several modifications to achieve. As a wild guess, keeping the acute labor shortages that we are still facing in mind I thing that the shipping start will be delayed until early March for all Pre-Orders that will then automatically be shipped in the order they were received. We will of course keep you posted as to when the Pyraminx Crystals are starting to be send. We are pleased to inform you that we finally finished shipping out all of the pre-ordered 12 color tiled Megaminx and 12 color tiled Impossiball, in the order that they were received. Shipping to most destinations takes around 7 to 14 days, so please be patient a little longer and do not ask us to check on your order status. Because as from tomorrow we are officially closed for the Lunar New Year holidays until the 18th. of February and will only have a skeleton staff to process urgent orders and enquiries during that period. If you are still not receiving these Newsletters, please check your security settings and take a regular look at the "News" page at www.mefferts.com. One other point I must stress; we are receiving many orders without the Zip code and state, without this information we cannot process the order and it wastes time. As already mentioned but I like to repeat it one more time, the US$20.00 surcharge for EMS "Speed-post" courier service is only available if your Postal service is a member of the EMS Speed-post network. I am pleased to inform you that we have started to ship the pre-ordered 12 color tiled Megaminx and 12 color tiled Impossiball, in the order that they were received. Because of the large amount to be shipped it will takes as some time to finish sending all. We will let you now in another mailing when all the pre-orders have been shipped out. Both of these puzzles are now back in stock. Take a regular look at the "News" page at www.mefferts.com, if you are not receiving all of our Newsletters. One other point I must clarify, the US$20.00 surcharge for EMS "Speedpost" courier service is only available if your Postal service is a member of the EMS Speed-post network. Sorry for so many mailings in a row, however we have run into a logistic problem with our PRE-ORDERS. It is very important that from now on each PRE-ORDER that has a different shipping date must be placed separately and cannot be ordered together with other puzzles. To separate these puzzles into separate shipments involves several times the amount of work for us and caused a work overload during Christmas. Please note that the 12 color Impossiball and 12 color Megaminx can be shipped together in mid January and the Pyraminx Crystal has to be ordered on its own for end of February shipment. Take a regular look at the "News" page at mefferts.com, if you have not received all of our Newsletters. Should you wish to be removed from this mailing list; just click "Reply" and type "Remove" in the subject line. Please make sure that you show clearly the email address you wish to have removed so that we can honor your request. Puzzle News as of January 6, 2008 "FORUM" and 6x6x6 & 7x7x7 cubes. We are pleased to announce that our Meffert.s Challenge Puzzle Forum is now operational. We had several requests in particular by Steve Gorton who volunteered to be our first moderator for a dedicated Meffert's Puzzles Forum. Ulrich will be the administrator, the Forum is still in Beta form so for any additions you like to see included please contact u.mefferts@gmail.com direct. To sign up or visit, click on the Forum icon or link on our Flash or HP. We are still receiving a lot of enquiries regarding the 6x6x6 & 7x7x7 cubes. Seeing that Mr.Panayiotis Verdes has made the announcement via his son Konstantinos that his molds for both the 6x6x6 and 7x7x7 cubes are ready and that these cubes would be produced in Greece this year, we decided not to duplicate them and rather bring you some all new exciting puzzles for 2008. The Olympic Cubes appear to be superior in design to what I would have made especially as far as speedcubing is concerned see: www.olympicube.com so please contact Mr.Panayiotis K.Verdes direct on info@olympicube.gr to ask him when his cubes will be released and how you may order them direct. Sorry that we cannot be of more help in this regards, I understand that many of you are concerned that these cubes may never be released as several similar announcements were made in the past and nothing happened. As previously mentioned if they run into manufacturing problems I am always willing to help, understanding that it is not easy to mass produce a good quality puzzle at the right price. All Panayiotis or Konstantinos have to do is ask and I will be more than happy to make our manufacturing facility available to produce the Olympic Cubes for them. Puzzle News as of December 27, 2007 - Pre-Orders. Please note that we have stopped issuing Xmas Gift Vouchers as from December 26th, your Xmas Gift Certificate has been automatically converted to a Pre-Order and you puzzle/s will be send to you automatically once available. Anticipated shipping dates are: For the Megaminx and Impossiball mid January and for the Pyraminx Crystal end of February 2008. Should you however require a printable Gift Voucher, let us know to "support@mefferts.com" with "Gift Voucher" in the subject line and one will be send to you via email. Thank you for your patronage. Meffert 's Puzzles & Games 2008, Remex Centre, 42 Wong Chuk Hang Rd. Puzzle News as of December 23, 2007 - Xmas Gift Vouchers. Just to let you all know that we are processing the sending out of your "Christmas Special Gift Vouchers", as fast as we can, but the large amount of orders is putting as far behind schedule. Please don't worry everyone will receive their Gift Vouchers within this month. If anyone had a Gift Voucher order that was for under the tree, please let us know immediately and we will send those ASAP, out of order received sequence. China's labor shortage is worsening, so the 12 color tiled Impossiball will now ship together with the 12 color tiled Megaminx around mid January and the 12 color tiled Pyraminx Crystal is expected to ship by the end of February. Puzzle News as of December 18, 2007 - Xmas Gift Vouchers. There appears to be some confusion in regards to our "Xmas Gift Vouchers". These are a form of pre-order in the form of a Xmas Gift voucher, go to: http://www.mefferts.com/products/index.php?category_new=21〈_new=en or click on the Xmas Gift Voucher button in our Flash site or shopping cart. This enables us to produce sufficient quantity to satisfy the needs of every one that wants one of these great puzzles. Due to severe labor shortages in southern China now, we are running slightly behind schedule and the 12 Color Impossiball will start to ship first week of January, the 12 color tiled Megaminx around January 15th. with the 12 color tiled Pyraminx Crystal around mid February. If you have not received the mailing of December 9 and 15, please click on the "News" icon on the www.mefferts.com HP for the latest updates. Tell your friends if they are interested in Puzzles to click on the Mailing list icon on our HP and simply submit their email address. If you have not received the mailing of December 9, please click on the "News" icon on the www.mefferts.com Home Page for the latest updates. Tell your friends if they are interested in Puzzles to simply submit their e-mail address. Your response to the 12 color Pyraminx Crystal and 12 colors Impossiball was very encouraging, much, much better than for the 6x6x6 and 7x7x7 cubes, so now both have been scheduled for ASAP production. "I understand your disappointment with the number of survey results. Let me suggest that the low numbers do not indicate a lack of interest, but rather an apathy to which is made. I know that I didn't bother responding to the survey since I don't have a preference and will buy whichever one you produce. The Olympicubes have been "coming in the next few months" for years, but it just never happens. Please reconsider your decision. If you like, you can count this as two survey responses - one for each. OK, I am willing to reconsider my decision if the Verdes's really fail to keep their promise, but let's give them a chance. I met with Konstantinos and his Father in Athens and found Mr. Verdes a very sincere, honest person. He told me through his son Konstantinos that his molds for the 6x6x6 and 7x7x7 cubes had been completed. Just in case that he finds it difficult to produce these in Greece as mass producing complex puzzles is not easy, I would be happy to produce these cubes for him from his molds which should make the unit price much cheaper, because of our cheaper labor and experience in producing good quality puzzles. I have received a lot of enquiries to accept pre-orders and issue Xmas Gift Certificates for the new Puzzles. So I have now done just that, Please go to our Shopping-cart, Flash site and click on the "Xmas Gift Voucher" category, or you can go direct to Meffert's shop. Also check out "News" regularly for the latest updates. Purchasing a Gift Certificate for however many of an item also protects you from missing out, as this will be the last production run of these 4 puzzles due to the high production cost for small runs. Please note that December 11 is the last day that the Hong Kong Post Office guarantees Xmas delivery for Xmas to most EU Countries and USA/Canada. You can of course select "EMS" Speed-post courier on our order form for just $20.00 extra which takes around 3 to 4 days to most destinations. To compensate I have reduced the Special "Gift Voucher Price". Whilst these Gift vouchers are a form of pre-order for out of stock items the goods will be shipped as soon as available. First of all regarding the 6x6x6 & 7x7x7 cube survey results. What surprised me was that Unfortunately the results were very disappointing, the total quantity for both puzzles combined was less then 1/4th of the quantity for the Dogic, when I conducted a similar survey, before I re-produced it. I heard that Mr. Verdes via his son Konstantinos made a recent announcement that they will release the 6x6x6 and 7x7x7 cubes in 2008, which is great news. Based on the above I came to the conclusion that I should step a-side and let the Verdes's handle these puzzles all by themselves directly from Greece, no point having two similar products in the marketplace and the Olympic cube mechanism is most likely better then what I would have made which would just have been an extension of the mini 4x4x4 and mini 5x5x5 cube. Now here is another brief survey, if you are interested to purchase a Pyraminx Crystal for US$38.00, or the new 12 color tiled "2 puzzles in one Impossiball", just click "Reply" and type "Crystal" or "Impossiball" + (the number of pieces) in the subject line. Please spread the word to all your friends to register so that they will receive all new puzzle release information. Two more new puzzles are scheduled for this year and several more for early next year. If you still did not receive some of our recent mailings please click on "News" to get up to speed. As mentioned earlier we are in the process of improving our website, which will include a Forum, Video section and the Puzzle mechanism's of most of my puzzles, any contribution is most welcome. If anyone has any unique features they like to see included please let us know. 42 Wong Chuk Hang Rd. We have now created a new Mailing list and will delete the old one after this mailing due to many expired email addresses. So everyone who want to receive the latest news about my puzzles, new releases etc. needs to re-join starting from tomorrow by clicking on the "Mailing List" Icon or go direct to http://www.mefferts.com/mailinglist/maillist.php and enter your email address. Please spread the word to all your friends to register so that they will receive all new puzzle release information. Two more new puzzles are scheduled for this Xmas and several more for early next year. If you still did not receive some of our recent mailings please click on "News" to get up to speed. As mentioned earlier we are in the process of improving our website, which will include a Forum, Video section and the Puzzle mechanism's of most of my puzzles. If anyone has any unique features they like to see included please let us know. I am happy to announce that my youngest son Ulrich, will be assisting me in future with website, forum and puzzle related issues, you may contact him direct on u.mefferts@gmail.com. the world's only 19 piece spherical sliding puzzle. the Skewb cube with Fluorescent labels is available again. Good News: today I have released several New Puzzles and The 6 color assembly cube is back in stock with plastic labels and 1 set of plastic tiles plus 1 tube of instant glue gel. Then there is the DIY Blank Assembly cube with one set of plastic tiles and 1 tube of Super glue gel. I am pleased to bring you our new assembly Koko-cube (super sudoku, the Magic square assembly cube and the Tick Tack Toe (naught & crosses) assembly cube all with the original large bronze key for un-assembly. COLLECTORS ITEMS: After being prompted by many fans to check our old Hong Kong warehouse I have some good news to report, we found some old 5x5x5 cubes, (because some of the original paper labels are not in very good condition, I am including 1 set of plastic tiles with one tube of super glue gel. There are also a few Skewb Diamonds with the original vinyl labels, Limited Prof. Cubes (White/Red). Pyraminx for the blind in the original plastic case and Japanese Pyraminx also in the original plastic case. As these puzzles are limited, orders will be filled on a first received first served basis. Please note that for these limited quantity Collectors items there is a nominal surcharge over our regular prices, which will be used for new puzzle development. Of course as always we provide FREE shipping via Airmail to any place in the world that has a Post Office. The Skewb Ultimate, Skewb cube and Pyraminx with the original fluorescent labels in a full color display box is now available. The Megaminx production has started and will be available for Xmas. I am also working on a couple of new exiting puzzles which will be released by the years end, but their identities must remain a secret for now. This special offer of the original Prof. cube as a collector's items is limited on a first come first serve basis, this item will not be reproduced. As these puzzles are very old some of the labels are damaged so one Plastic Tile Set is supplied separately + one tube of Instant Glue Gel.